In your house, the kitchen is one of the most used room. It’s a place where you prepare and cook meals, and it serves as a bonding area as well. So it does make sense to put some effort into keeping it organized and great looking right? And with that being said, here are some easy ways to upgrade and make your kitchen look amazing in no time. These are ideas that aren’t complicated to do, give great results, and will freshen things up. So check them out and let me know what you think! If your cabinets and cupboards are a bit dated, consider repainting them and add your own personal touch. Think of sage green or a robin egg blue; it’ll brighten up your kitchen and instantly add a pop color to your room. If you think that rugs are only great for living rooms and bedrooms, then you need to go on Pinterest and see how people have used rugs for their kitchens. It’ll make your place cozier, add warmth, texture, and color. While you’re cooking, grease splatters and messy spills can easily mess up your backsplash. So to quickly clean and make your kitchen look elegant without spending a lot, try to install a tile mosaic backsplash. These materials are easier to clean and come in different designs perfect for making a real eye-catcher in your kitchen. Swap out your regular and boring kitchen light and hang a budget-friendly pendant light that you can easily get from your local dollar store. This will easily make your place look elegant and stylish. And since lighting is so important in any room, this one change can totally transform the entire space. If your kitchen has a large window with direct sunlight, try to add a windowsill herb garden. Not only will it be a natural way to decorate, but it’ll also give you fresh herbs for your meals. So try to plant some basil, cilantro, dill, oregano, and rosemary and start growing plants. You’ve already seen this trend; farmhouse accents can easily upgrade your kitchen. They can add warmth and character to a plain room. So try replacing your kitchen cabinets with chicken wire or hang some antique wooden stools; they’ll make your kitchen cozy and more welcoming. With a little effort and by simply adding some under-cabinet lighting, your kitchen can effortlessly turn into a stylish room. The hidden lightings will also make your kitchen well lit, keeping the countertop lit brightly. Changing out your cabinet and drawer handles is one of the easiest and quickest ways to upgrade your kitchen. You have a lot of designs to choose from, but I suggest getting the ones that give you both functionality and style. Your wallet will thank you for getting the right hardware. If your kitchen has wood floors, upgrade them by simply painting them with some nice colors. If you want to get creative, try stenciling a design onto the painted floors. You can find a lot of tutorials on Pinterest and this will definitely impress your guests! 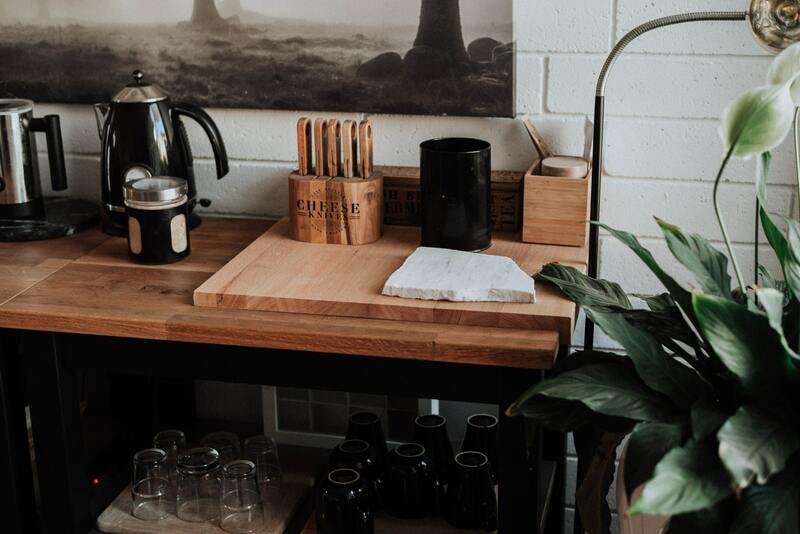 While there are plenty of ways to make your kitchen more organized and amazing, implementing these ten ideas from the list above will definitely help you to save so much time and money. They’re all easy to do, don’t require a lot skills, and are all are budget friendly. So give them a try and let me know what you think! Now if you have any questions, let me know in the comments down below! I’d love to help you!